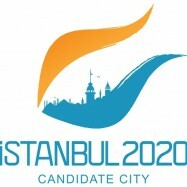 Istanbul, the hearth of the culture, history, and sports, is one of the most popular candidate cities of the Olympics 2020. The city is totally ready for the olympics with its infrastructure, new stadiums and pools, as well as accommodation and traffic solutions. In the past years, Istanbul was the host city for several championships and organizations such as Istanbul F1 Grand Prix, 2010 FIBA World Championship, 2013 CEV Volleyball Champions League Final Four, 2012 FINA World Swimming Championships, Eurasia Marathons in every year, and so on. Now the target is the Olympics 2020! If you want to watch the Olympics 2020 in Istanbul, support Istanbul 2020 on Facebook and Twitter!